It’s time to start mixing things up! 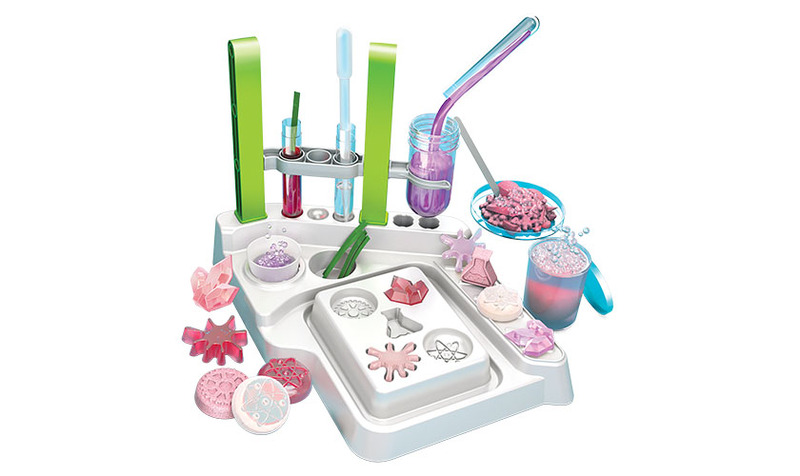 In this pretend STEM scenario, you are a chemist for a bath and body products company and it’s your job to make and test different cosmetic products. 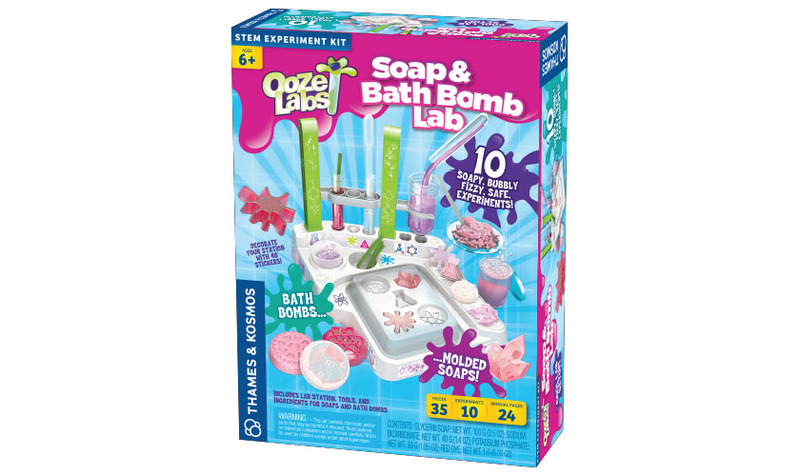 Use the tools in your laboratory to employ different scientific techniques and essential chemistry principles to make soaps and bath bombs. Try out different additives to affect the color, smell, and other qualities of the products you make. 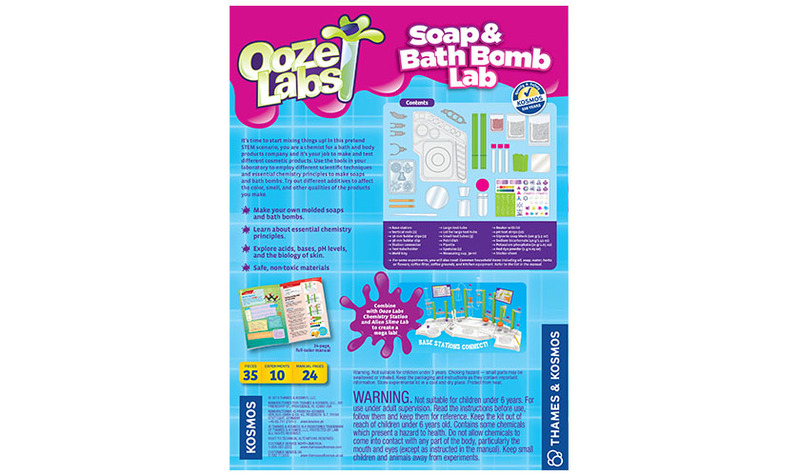 Real science and pretend play come together in this activity-filled kit that can be used alone or as an extension of the Ooze Labs Chemistry Station (a Parents’ Choice Silver Honor winner!). As you mold different glycerin soap shapes, you learn about the chemical properties of soap that help it pick up and wash away dirt. While you’re concocting bath bombs, you learn about how acids and bases combine to form fizzing reactions, and what a pH level is. Expand your cosmetics knowledge with an overview of the biology of skin care and other science related to soap and bath products. All materials and chemicals are non-toxic.